ETC says motorists' e-toll balances may not reflect amounts owing prior to September 2015, but the debt still remains. Gauteng motorists who thought they were off the hook for large e-toll debts should think again. This after the company responsible for the electronic collection of e-toll payments has denied reports that hundreds of motorists' e-toll debts were recently wiped clean. Electronic Toll Collection (ETC) COO Mark Ridgway says the confusion comes because of a change in tariff amounts due to a new e-toll dispensation announced by deputy president Cyril Ramaphosa last year. Ridgway says the new dispensation not only reduced tariffs but allowed for a discount on any outstanding balances as at 1 September 2015. Any amount owing prior to this period was 'ring-fenced' and a task force was set up to collect the discounted balances due. This means all e-toll transactions that took place after 31 August formed part of a different tariff and discount structure and these are the amounts that motorists will see on their bills. "Road users that have subsequently received invoices and statements or enquired on the Violation Processing Centre Web site would only see balances due since 1 September 2015 and these amounts would exclude all prior outstanding balances that have been ring-fenced and are subject to a once-off special 60% discount," explains Ridgway. Ridgway has cautioned road users to check their outstanding e-toll balances themselves "before believing misleading and misguided statements issued by ill-informed parties". This after e-toll opposition group Outa (now known as the Organisation Undoing Tax Abuse) released a statement claiming it had been informed by "hundreds of members of the public that their outstanding e-toll balances have mysteriously disappeared". Outa communications director Rob Hutchinson says its members reported their e-tolls bill that previously had reflected amounts ranging from R20 000 to R30 000, had suddenly been reduced to just a few rands. "Suspecting this may a widespread glitch, we put out a message to a section of our membership base to see if this 'error of kindness' was more widespread. 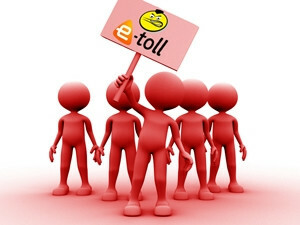 Our suspicions were confirmed, as hundreds of Gauteng freeway users indicated their accumulated e-toll bills ? each one being tens of thousands of rands ? had been erased to a few hundred rands. "When asked, these members confirmed they had not taken up any offers of discount, nor had they paid one rand toward the e-toll scheme since its inception," according to Hutchinson. "Speculation that the system has written off debt is disinformation spread by individuals and organisations who continue to clutch at spurious conjecture in order to avoid facing the fact that payment must be made," is Ridgway's response to Outa's allegations. Outa says it has found another worrying trend, with some of its e-toll paying members reporting receiving SMSes saying they have "outstanding invoices totalling several thousands of rands, even though in their opinion and records, they have no outstanding balances with Sanral". "It seems those who have been paying are being hurt the most," according to Outa. But Ridgway says road users who believe ongoing payments have not been credited correctly "are invited to make sure all their accounts are settled". He also reminds motorists that "non-payment of e-tolls is an offence" and road users "should be aware that a substantial saving on their accounts may be lost should they not settle what is due". Motorists have until 1 May to claim their 60% discount.